From Yellowstone National Park I headed south to another of our country’s most beautiful places: the incredible canyons and deserts that stretch along the border of southern Utah and northern Arizona. 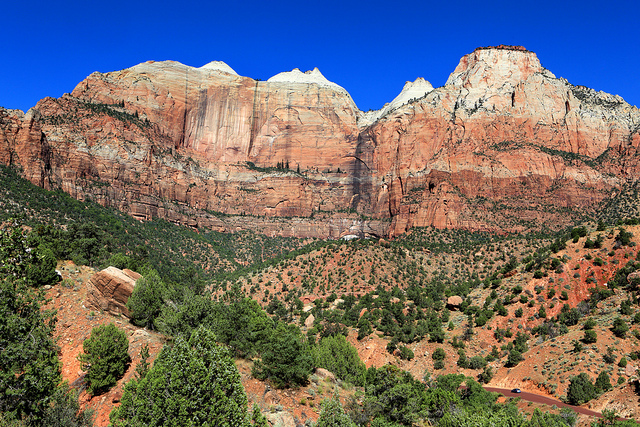 I began with a drive through Zion National Park. 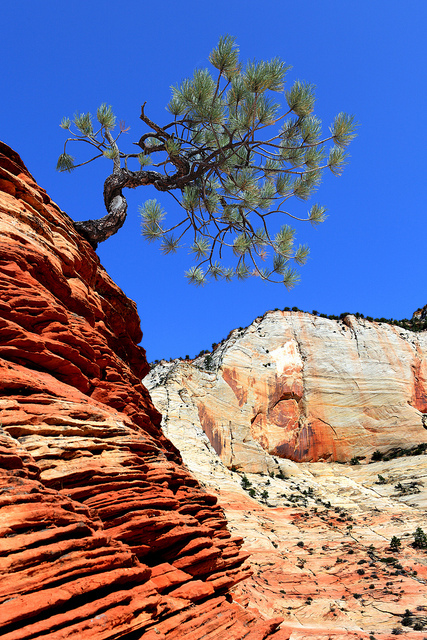 No visit to Zion would be complete without a stop to photograph my favorite tree, a lone pine that grows sideways from a rugged mound of bright orange sandstone. It has changed very little over the years. After a quick walk around Coral Pink Sand Dunes State Park I spent the night in Kanab, Utah, and woke up early the next morning to participate in The Wave lottery. 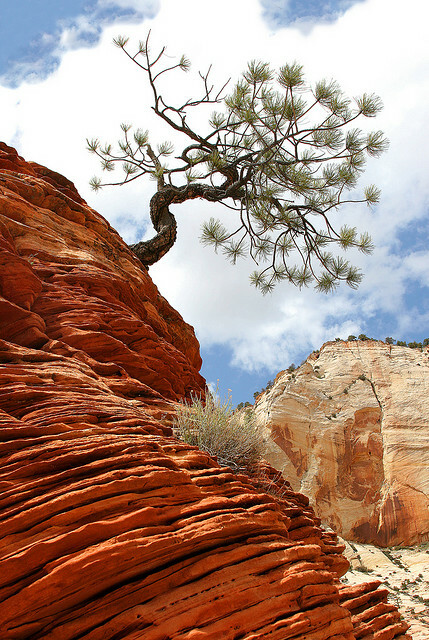 The Wave is a strikingly photogenic rock formation in the Paria Canyon-Vermilion Cliffs Wilderness, and the Bureau of Land Management protects it by limiting the number of hikers who are allowed to visit each day. Ten individual permits are awarded over the Internet several months in advance, and an additional ten permits are awarded through a lottery held at the BLM office (just off Highway 89 between Kanab, Utah and Page, Arizona). Anyone who wants to participate in The Wave lottery at the BLM office needs to arrive in person by 9am and compete with a surprisingly large crowd. On my first morning I was up against 59 other people. 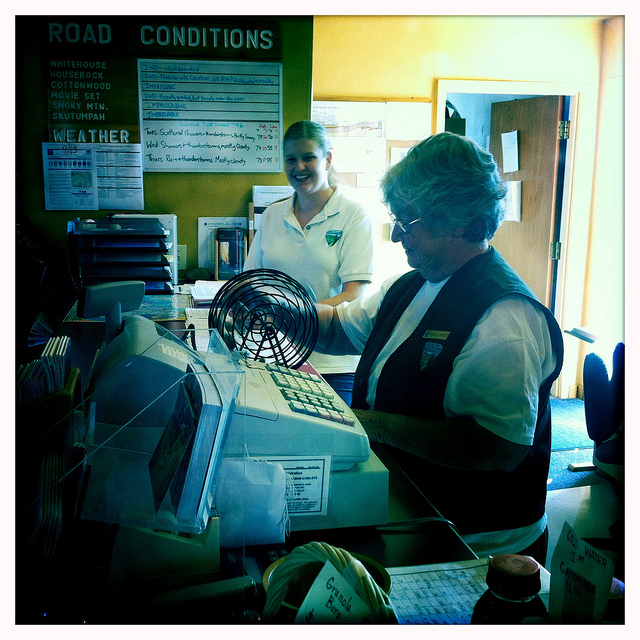 The BLM agent gave each of us a number and used a bingo-style tumbler to choose the 10 lucky winners. I lost. And I lost again the next morning, when 68 people showed up. 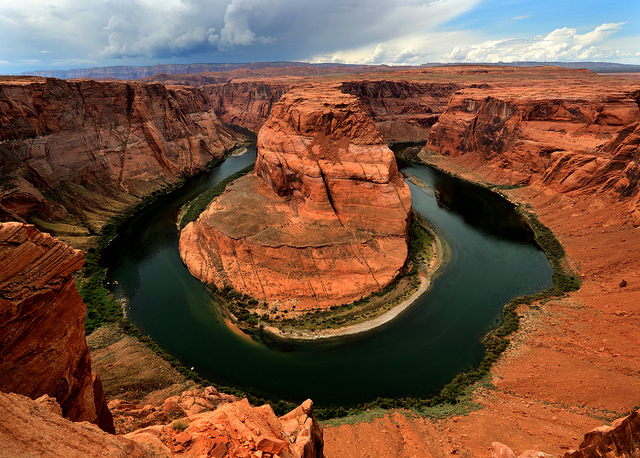 I worked off my Wave frustration with visits to Horseshoe Bend and Lower Antelope Canyon. 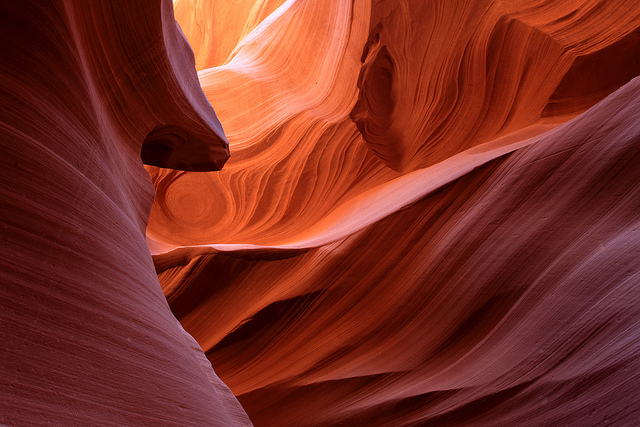 Horseshoe Bend is a dramatic curve in the Colorado River, and Antelope Canyon is a frequently-photographed slot canyon. 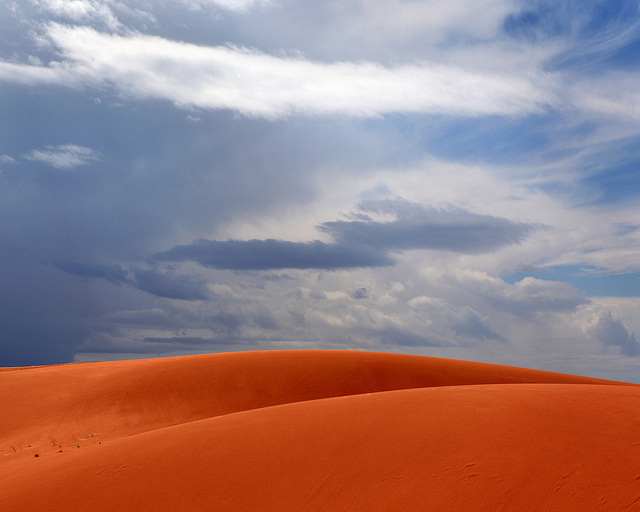 Both are just outside of Page, Arizona. 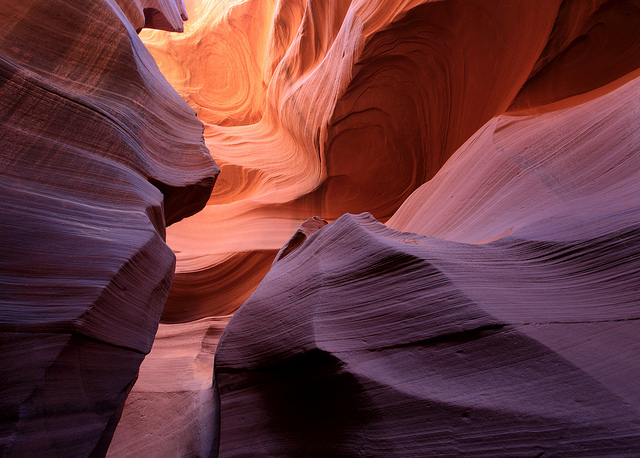 Scattered thunderstorms were passing through the area, and a large part of Lower Antelope Canyon had been closed by flash floods. I hoped to visit again the next day, but nonstop rain (and, at one point, marble-sized hail) made for a complete washout. 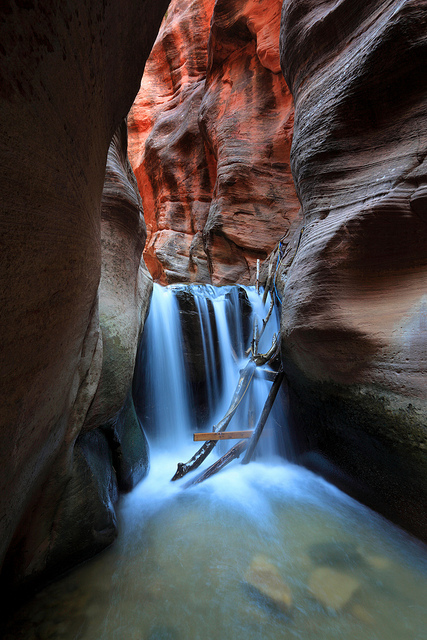 Seeking sunnier skies, I drove back west to Kanarra Creek, a slot canyon just outside of Zion National Park. 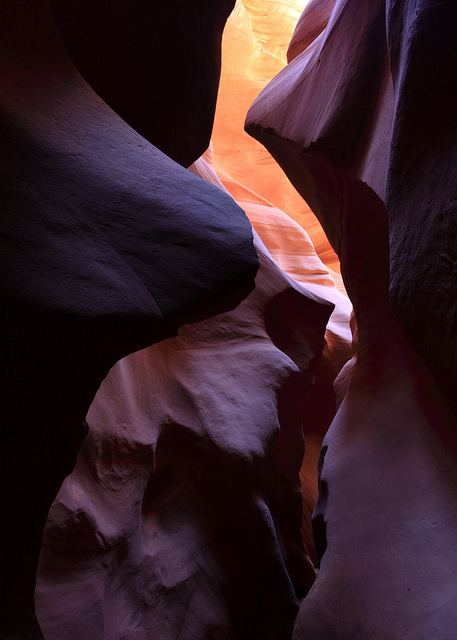 Photos really can’t capture the experience of hiking through a slot canyon. 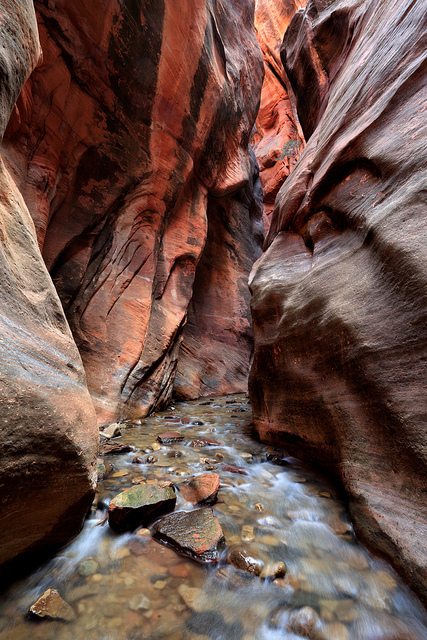 The towering rock walls, sculpted and smooth from countless years of erosion, glow orange, yellow and red from reflected sunlight, and in many places the walls are so narrow that you have to hike in creek itself, your feet numb from the ice-cold water. 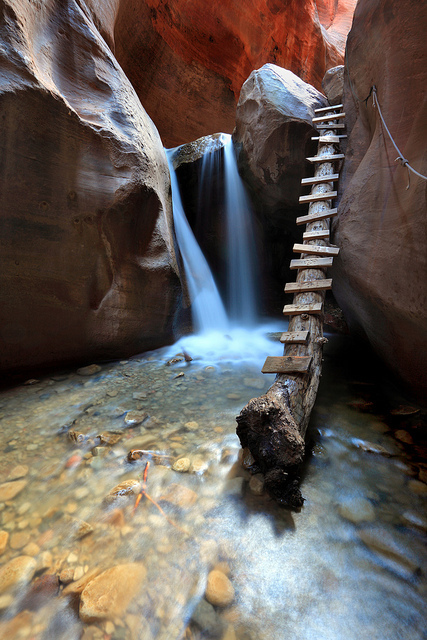 Kanarra Creek was truly amazing, a smaller but 98%-less-crowded version of Zion’s famous Narrows.